A large body of scientific information which could be utilised for improving the dietaries in India has become available as a result of the efforts of research workers in India. Unfortunately, the people have not been in a position to make much use of it for want of authoritative publications which would enable the accumulated knowledge to be put to practical use. The Nutrition Research Laboratories of the Indian Council of Medical Research compiled nearly twenty years ago the results of analysis of Indian foodstuffs which have been published by the Government of India as the popularly known Health Bulletin 23. The bulletin not only gives information on the nutritive value of a large variety of Indian foodstuffs but also suggestions for the planning of satisfactory diets. 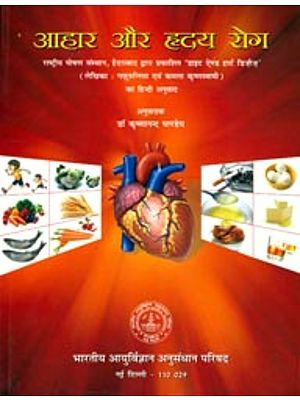 The present publication is designed to help the public in North India by giving practical hints on the preparation of nutritious snacks and meals. The preparations are of the type well-known to our people in North India and have been so designed as to be within the reach of-most. It is hoped that this brochure will achieve the object of making the dietaries sufficiently varied and what is more important, provide a basis for balancing the diets from the nutritional standpoint. The booklet entitled "Menus for Low-cost Balanced Diets and School Lunch Programmes" suitable for North India brought out by the National Institute of Nutrition has been quite popular. The Nutrition Advisory Committee has revised the recommended allowances of nutrients for Indians in 1968. The data presented in the book which was originally brought out in 1959 have now been updated in the light of these recommendations. Also since the prices of foodstuffs have been changing over the years, information with regard to cost of the various preparations has been worked out again based on the prices prevailing in Hyderabad in recent months. We hope that the booklet will continue to be a useful source material for dietitians, social workers and nutritionists all over the country. 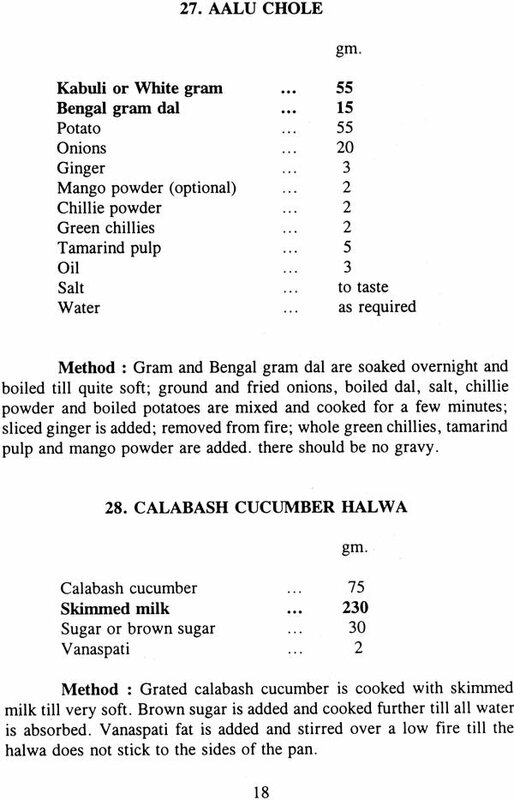 A publication entitled "Menus for low cost balanced diets and school lunch programmes, suitable for South India" was prepared in 1958. The purpose of the publication was to provide examples of nutritious dishes which could be easily prepared by using cheap and locally available foodstuffs. The text was intended as a practical guide to the housewife as well as the school authorities to improve the nutritive quality of the diet of adults and school-going children of South India. It is well-known that the general pattern of diet in Uttar Pradesh and the Punjab in the North differs in certain respects from that obtaining in the Southern States. This does not, however, rule out the fact that people of low economic status in the North subsist on a relatively inadequate diet; hence the need for improving northern dietaries is as urgent as that for the South. The present brochure is prepared on lines similar to the previous one so that the recipes suggested could be employed by people of these regions in the preparations of nutritious and cheap menus, resulting in an improvement in the nutritional quality of the diets without any great additional economic strain. The text is divided into two parts; Part I deals with recipes suitable for adoption at home and Part II with those suitable for mid-day feeding of school children. The names of all the preparations are given in English. 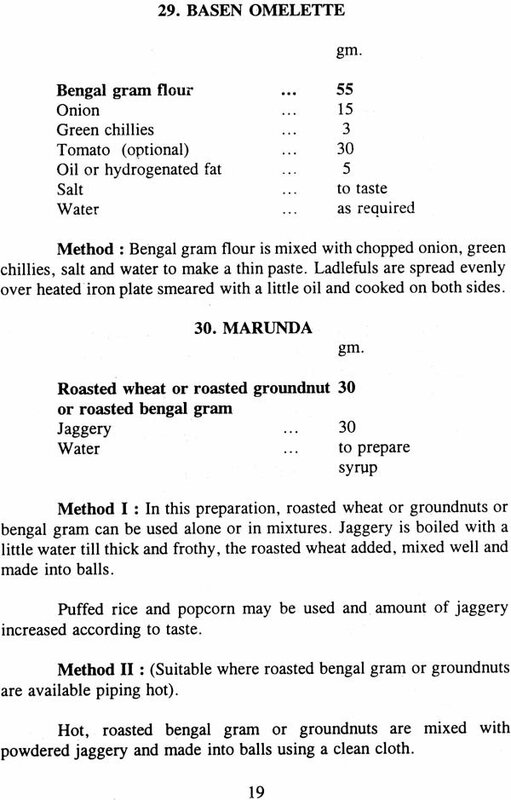 Hindi equivalents of foodstuffs employed in drawing up the recipes are given in the Appendix. Since the menus are mainly intended for the low-income groups, care has been taken to incorporate the items of food which are generally in daily use in V.P. and Punjab. A few dishes which are common to other parts of the country but which have been introduced into V.P. and Punjab during recent years and known to be relished by sections of the population, are also included. It is felt that the popularisation of these dishes will not in any way disturb the dietary habits of the people and will be most welcome. The recipes have been so framed that not only is the cooking procedure simplified but also the cost of the food per adult is about Rs.7-40 per day.